So far the campaign of 1809 has proven popular with the napoleonic rabbit. 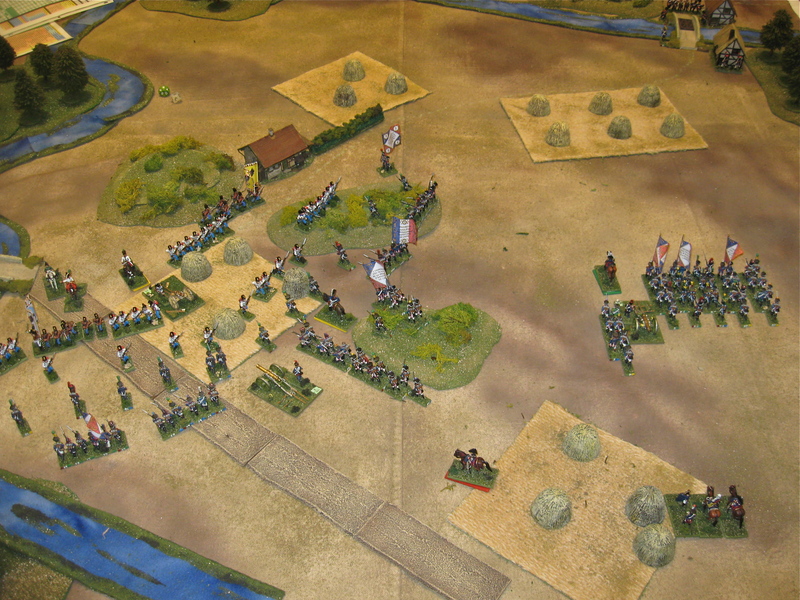 With notable exception to the larger battles fought during the main Daube theater of operations… Archduke Charles (Karl) vs. the main French army under Emperor Napoleon, WR has created smaller historical battle scenarios for invasion of Duchy of Warsaw (Poland), the plains of Hungary, rivers and towns in Kingdom of Italy or Inner Austria, and the latest scenario project, the southern Dalmatia campaign. 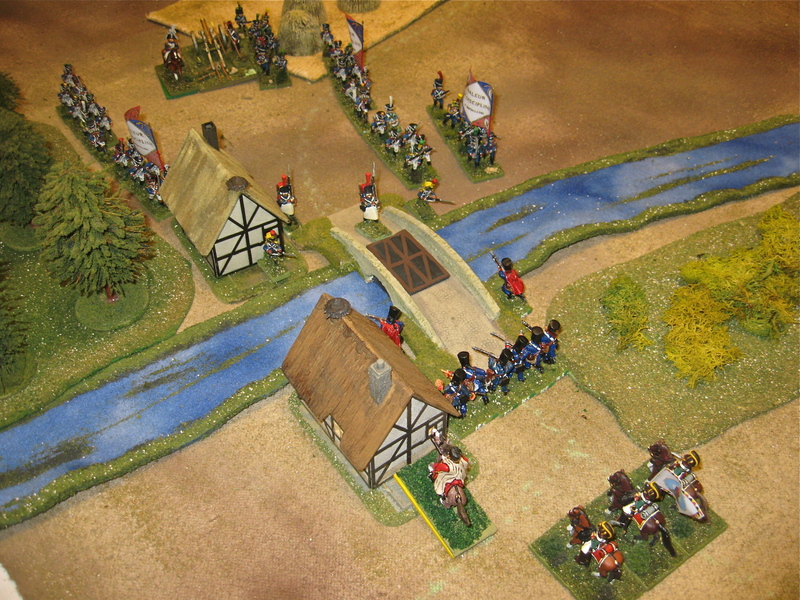 Battles like Sacile, Raab, Klagenfurt, Raszyn, are now joined with the May 21st – 22nd Battle of Gospic (or Bilaj) and posted on WArgamerabbit blog. 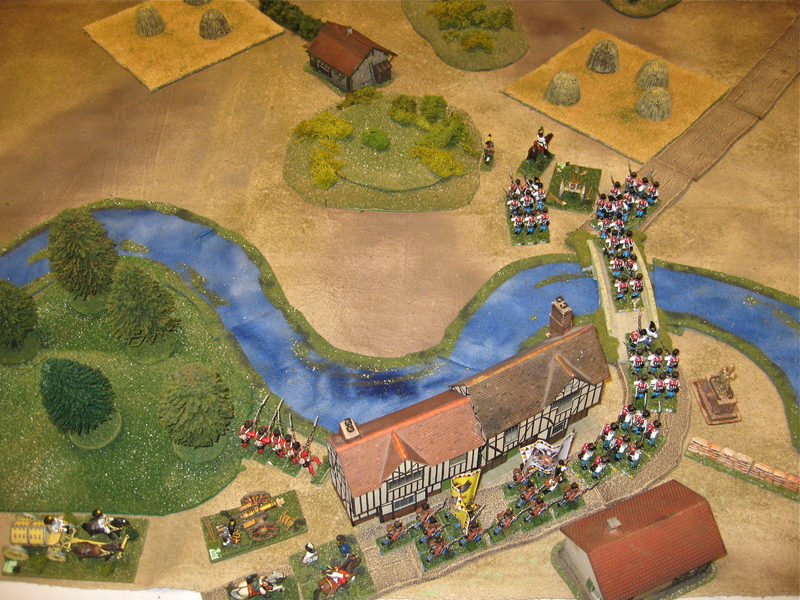 To continue the Gospic 1809 story line, WR and his son Daniel played out the 25/28mm napoleonic scenario at GAMEX this past Memorial Day week. Standard 8×6′ table, some unusual terrain features, a cast of Austrian battalion units uncommon for any tabletop battlefield and, like the Klagenfurt 1809 scenario, a use for the WR's French train column miniatures. Notes: Tabletop ground scale 50 yds/inch, each miniature roughly 90 men, and units vary in size based on historical strength.